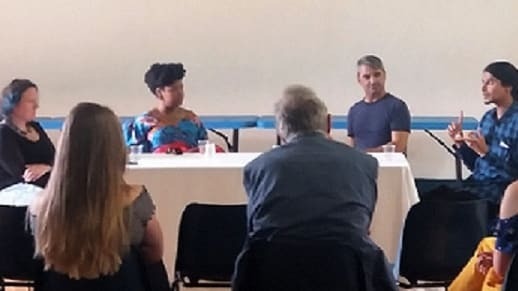 Three International writers discussed how influences like their family heritage and the countries they were born in, grew up in or now live in have influenced them as writers and as readers. Muhammad Khan is a British-born Pakistani writer and teacher. Chibundu Onuzo was born in Nigeria and lives in London. Joseph O’Neill was born in Ireland to a Turkish mother and an Irish father, he grew up in the Netherlands and now lives in the US. A Reading and Writing Life took place in St. Brendan’s Hall, Bantry on the 20 July 2018.